Monty most recently served as EVP of strategy at Shift Communications. 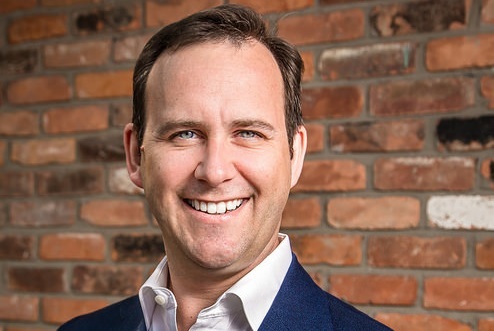 ANN ARBOR, MI: Former Ford global digital comms leader Scott Monty has stepped down as strategy EVP at Shift Communications to launch his own PR agency. Monty, who joined Shift last June after six years at Ford, said Monday in a blog post that he is launching the firm, which will be known as Scott Monty Strategies. He also updated his LinkedIn profile to list his current position as principal at the eponymous agency. The firm will "advise and counsel brands and agencies looking to up their game in digital communications and marketing," according to the blog post. "For the last five years or so, I've been giving advice and strategic input on the side, and I had always thought about starting an entrepreneurial effort of my own," Monty said in the blog post. Monty will provide consulting services to agencies and brands in the areas of strategy development, product launches, influencer management, digital transformation, crisis communication, brand storytelling, and new business support, according to his LinkedIn account. The shop will also focus on speaking opportunities for Monty, so he can share his "unique and confident outlook on digital marketing and communications, crisis communications, storytelling and more," the blog stated. Monty told PRWeek the idea for the agency has been in the works for a few months. "It got to the point where Shift didn’t have the volume of high-profile clients that needed my level of service," he explained. "[Shift CEO Todd Defren] and I talked about it at length, and he was very cool with the decision and supportive." The firm is already working with some clients, but Monty declined to disclose them. The types of clients he plans on working with will cross industry sectors, he said. One of Monty’s initial goals is to raise awareness of his agency and reach out to former colleagues and people in the industry. Whether or not he will hire staffers to support the business depends on the assignments that come in, he added. During his time at Shift, he focused on new business development, offering strategic counsel to clients, helping the firm define its services, and looking for partnership opportunities with outside organizations. He also served as a public face for Shift at events and through speaking engagements. Representatives from Shift were not immediately available for comment about Monty’s departure. Prior to joining Ford in 2008, Monty worked at marketing firm Crayon. Before that, he served as an account director for PJA Advertising and Marketing. This article was updated on June 8 at 4:25pm ET with comment from Monty.